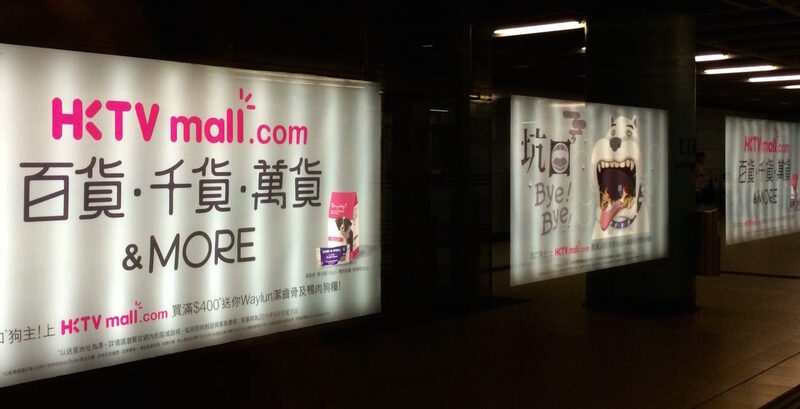 In case you wondered what the identical adverts that have taken over more than 3,000 billboards in all 51 MTR stations are about, they are part of an ambitious ad campaign by Hong Kong Television Network. Despite a sharp decrease in audience and uncertainty of whether it will eventually secure a free-to-air TV license (the controversy sparked citywide protests in 2013), HKTV is expanding its business to e-commerce. 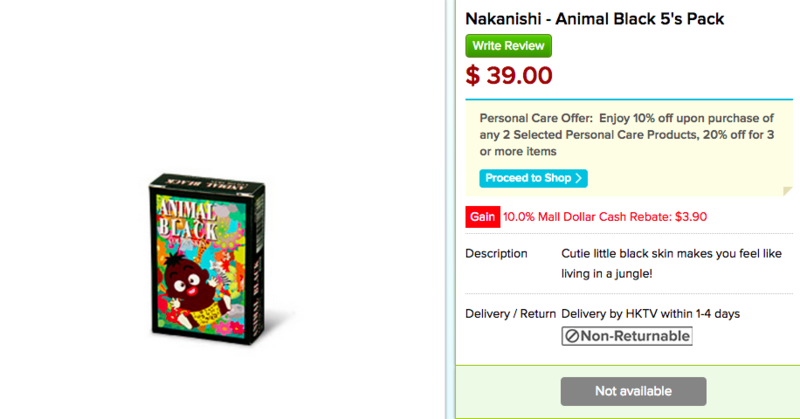 Its online shop, HKTV Mall, offers a wide variety of items from around the world. 1. 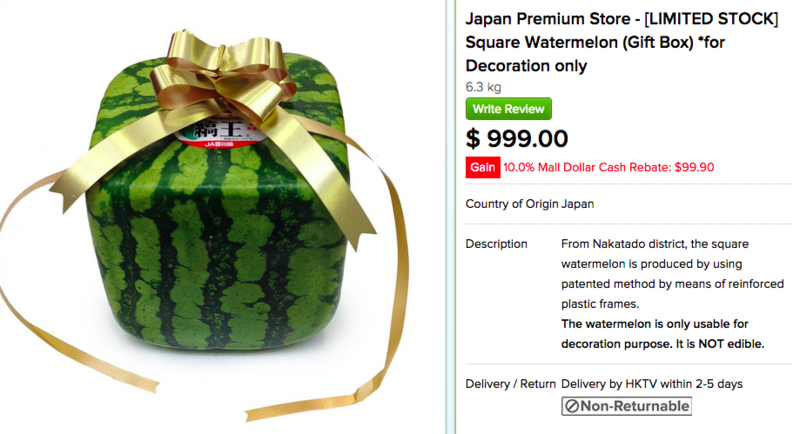 An HK$999 cubic watermelon… for decoration only. Grown in Kagawa prefecture in Japan, the cube-shaped watermelon is meant for display only as it is not ripe. The watermelon will gradually become round after a few months — or sooner if it is not stored indoors with air-conditioning. 2. 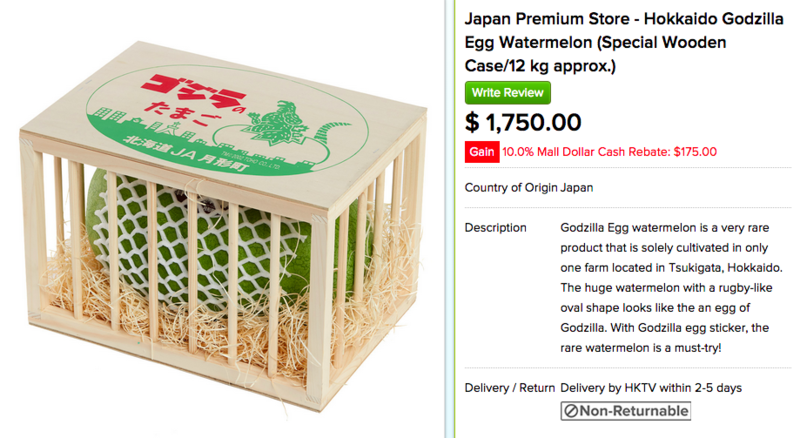 “Godzilla Egg”, with a special wooden case for your memento. The oval watermelon is grown only on one farm in Hokkaido. It is not as big as one may imagine an egg of Godzilla would be (for comparison, the world’s heaviest watermelon weighs 159kg), but the price is certainly bewildering for a watermelon of an average weight. 3. Looking for romantic dinner ideas? 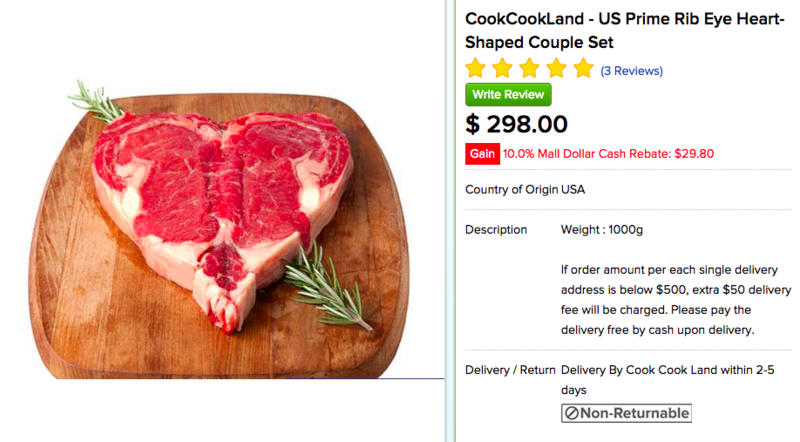 Try this one-kilo (35 ounces) heart-shaped rib-eye steak. 4. 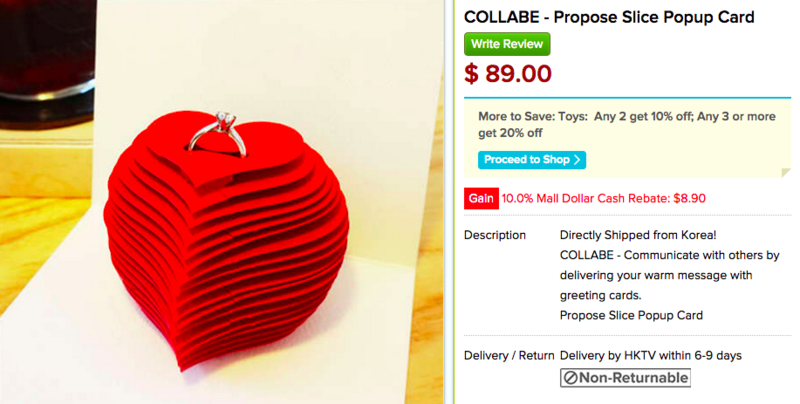 An alternative to the HK$400k marriage proposal: A popup card, with a ring. The card is made by hand in South Korea and can hold a ring of a diameter up to 20mm. 5. Never get to finish a box of condoms? 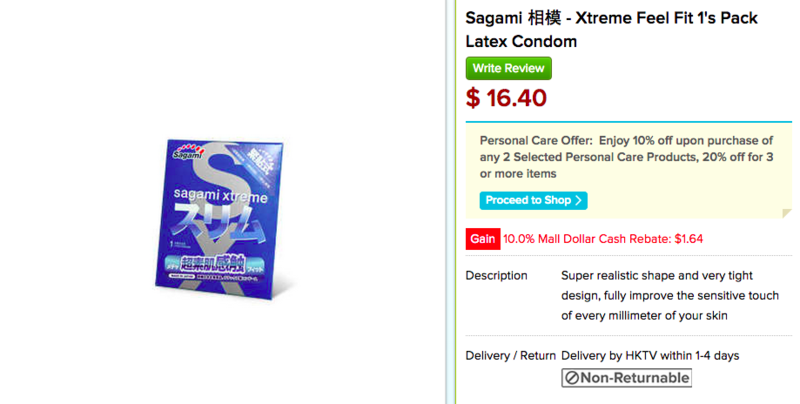 You can now buy just ONE condom. 7. Finally! 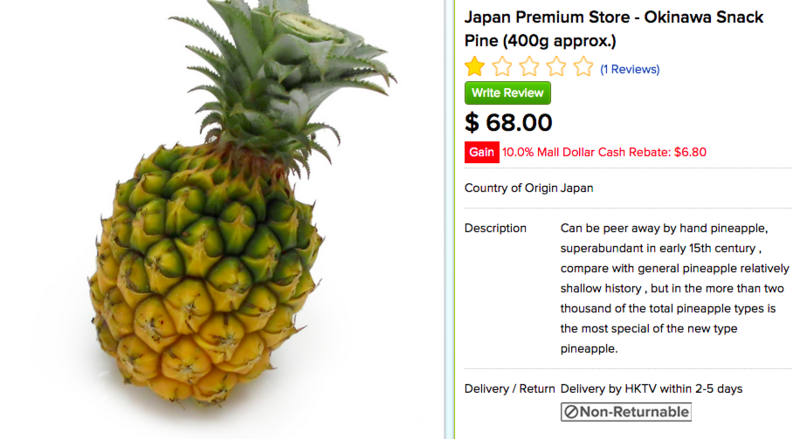 A pineapple that you can easily peel by hand. 8. 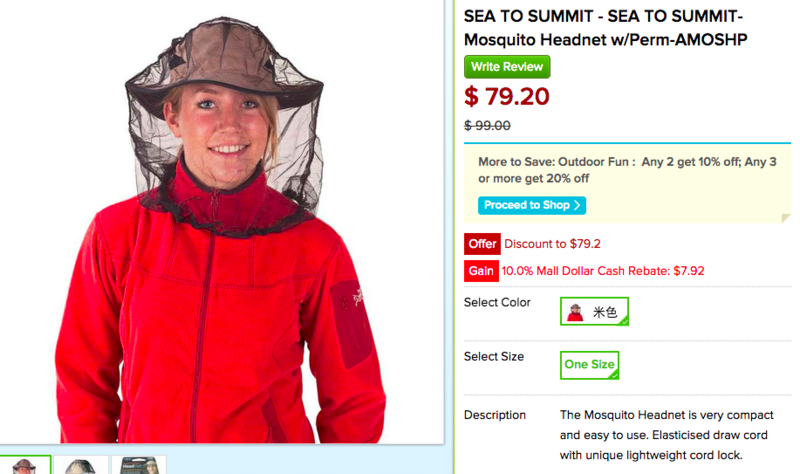 Just what every hiker in Hong Kong needs: A mosquito net to protect your face. 9. Enjoy the bees’ home. 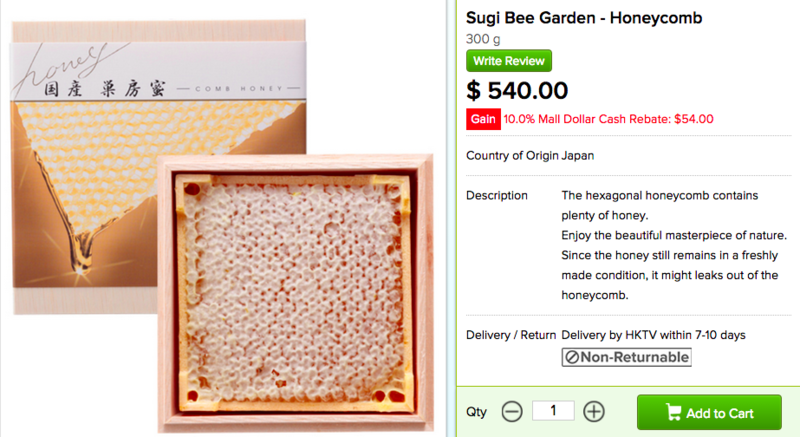 The purest honey comes from the honeycomb, which is believed to have a multitude of health benefits. According to traditional Chinese beliefs, honeycomb is thought to help with digestion, pain relief and sleep quality, among other advantages. Cultivated in Kyoto, the black garlic is left to dry for more than a month in greenhouses of 60 degrees Celsius. 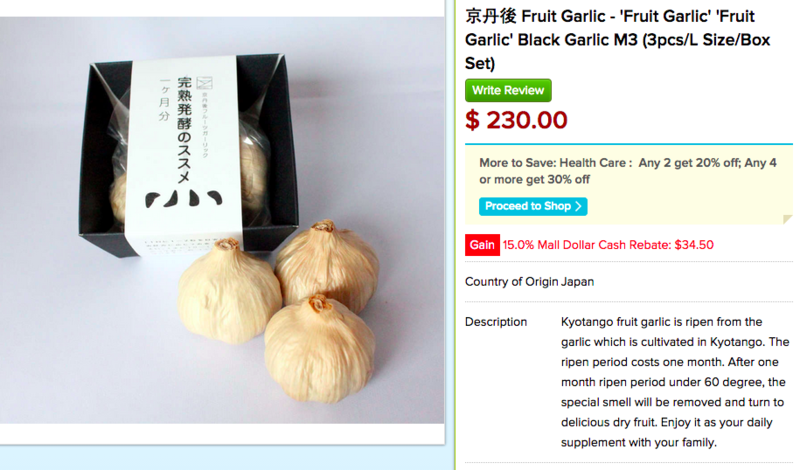 This will reduce the strong scent of garlic and make the produce taste like dried fruit, according to the vendor.